If you’re anything like me, staying organized and up-to-speed while traveling is key to having a good time. I take it to the extreme – from making a packing checklist to ensure that I don’t forget anything to typing up my itinerary with important contact information just in case my plans don’t go as smoothly as I had hoped. We all have our own tricks of the trade that can make or break a journey. Whether it’s a day trip, a weekend getaway, or an extended vacation, being prepared is always the goal. In the spirit of summer and the many adventures that might be coming your way, I’ve put together my “must do” list when preparing for a trip. When prepping for your trip: Always do your research. Being prepared is half the battle. These are my favorite ways to chart any unknown territory. Maps – Who doesn’t love a map? Once you figure out your final destination, look at a map to see the entire area. And I’m not talking about the map on your phone. Unfold a big map and get your highlighter ready! There could be fun places that are only a quick drive away from your destination. Or you might be able to pinpoint exciting stops along the way. Read Blogs – Who better to tell you about a destination than the people who live there or the people who have visited before? Blogs are the best way to read up on a potential destination. You get free, unedited advice from people who have been there and done that. And typically, blogs offer a lot of cost-effective tourist tips as well as local insights if you want to escape the crowd. If you’re traveling in or around Denton County, you’re already reading the best blog to make your adventure as epic as possible! When you’re packing a bag or suitcase: These tips come in handy when your trip requires more than a few items thrown into your bad. When you’re taking a road trip: These are handy-dandy tips that you’ll be so thankful for – whether you’ve got kids in the backseat or a car full of adults! When traveling on the A-train: Looking for a staycation? Traveling on the A-train to the destination of your choice is a quick and affordable option. Here are some resources to become familiar with to make your journey as seamless as possible. No matter where your journey takes you, I wish you a wonderful (and organized) summer full of adventure and memories. 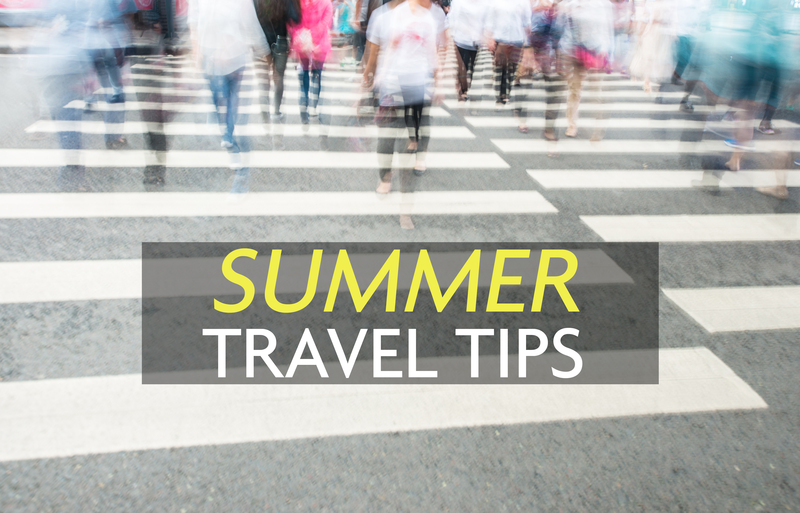 I’d love to know what your favorite travel tips are, too, so please share below. Happy travels and safe returns! Fun Things to Do in July!